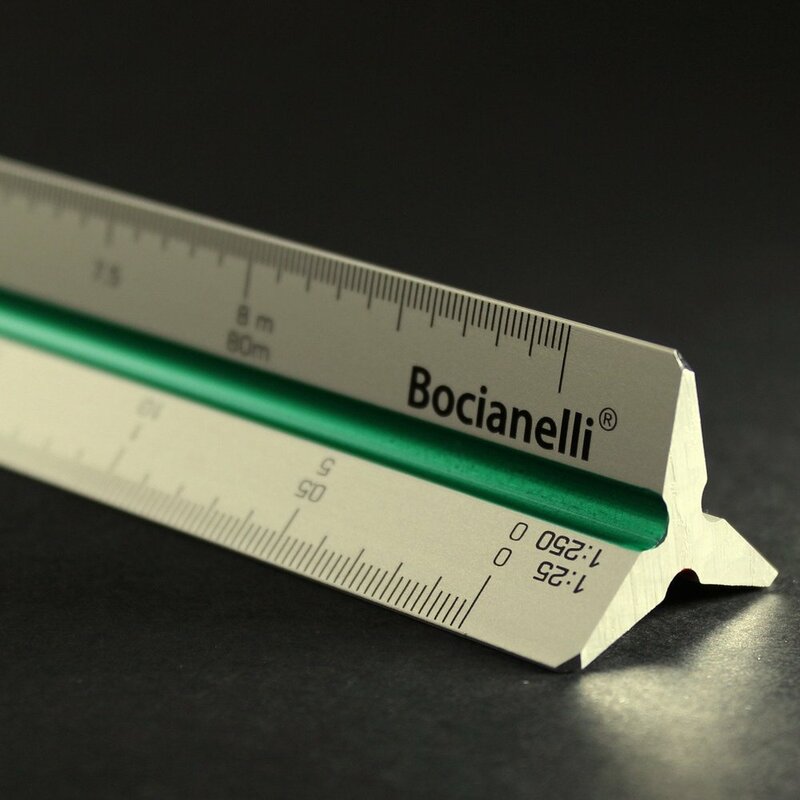 Our pick of the top architectural scale rulers available for architects and architectural students, for use in architecture design, detailing and model making. 01 - 12 inch black aluminum scale rule with 3/32 3/16 3/4 3/8 3 1 1/2 1/8 1/4 1/2 1in scales, supplied in hard plastic case. 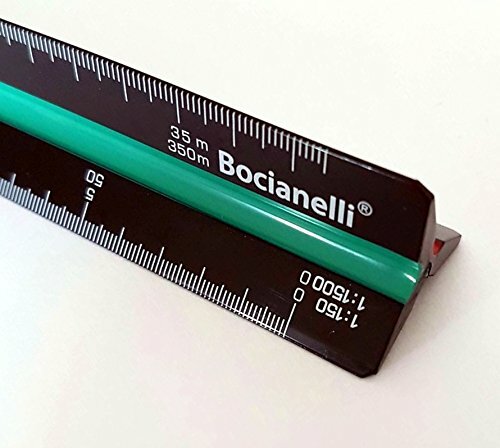 01 - 30cm silver aluminium scale rule with black letters and silver, green and red coloured slots. Supplied in rigid transparent plastic box for easy storage and protection.